From brilliant basics to total transformations, Mii makeup is all about you. Whether it’s effortless elegance for an evening out or creating the perfect finish. Mii will leave you looking fabulous and teach you trusted techniques to enhance your natural beauty. Led by a Mii expert, this interactive session will give you the skills to recreate your look at home. This comprehensive session will build your confidence to create your desired eye look. Name your dilemma and let Mii solve it. Learn the art of colour matching, we’ll show you how to choose and apply the right combination of primer, concealer, foundation and powder. Discover time saving techniques to get your day off to a flying start. Perfect as a touch of colour after a relaxing treatment. Enhance your natural beauty and bring your glow inside out with the targeted use of illuminators, blushers and bronzers. Minerals are the perfect choice for sensitive or problem skin, or if you’re just looking for 100% natural makeup. 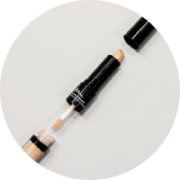 We’ll show you how to apply and work with mineral powders for a purely flawless radiance. Get that romance ready feel with our dreamy bridal looks. Whether you want to be bold, natural, timelessly classic or somewhere in between let’s create the perfect look for you. Indulge yourself and take centre stage for any special occasion. Let our Mii makeup professional give you that A-list treatment. Whether you require a quick tidy or a total transformation, Brow by Mii offers a bespoke treatment tailored to you. 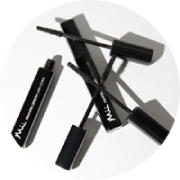 Our expert therapist will define and shape your brows using Mii’s professional sculpting wax. Enhance your eyebrows with a semi-permanent tint. Your therapist will expertly blend shades to achieve the perfect colour and tweeze any unwanted stray hairs. This service includes specialist tint, wax and shape for an express brow transformation. The ideal treatment to maintain perfect brows following a Design Mii treatment. Includes consultation, tinting, waxing, shaping and finishing. This bespoke eyebrow treatment begins with an in-depth consultation, followed by tinting, waxing, shaping and finishing. 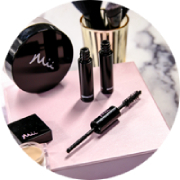 Whether your eyebrows are in need of nurturing, refining or just a little TLC, Brow by Mii is the perfect treatment to achieve the look you desire. Please note, these are our recommended Mii services. Individual salons may vary their offerings.